“We Will Be Back” is a project organized by IHR to replace the tents and concrete homes with caravans to provide a decent life for vulnerable people, and express the desire to go back to their home country. The complex is considered a model for future projects. Refugees will be able to take their caravans home after the war ends specially that most of their houses will be destroyed as a result of the destruction happening in Syria. Choosing the caravans residents is based on one condition, which is work. The residents are obliged to be productive, and are not allowed to receive any donations or help. 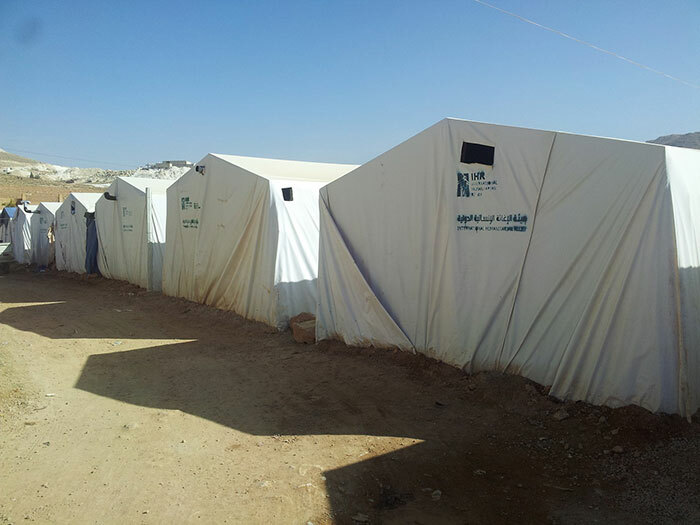 While most, if not all, of the camps in Aarsal lacks proper sanitary services which affects the health of the site’s inhabitants and the ones surrounding the camp; we have started, in cooperation with the Qatar Red Crescent, targeting the most needy camps to provide proper sanitary infrastructure improvements. 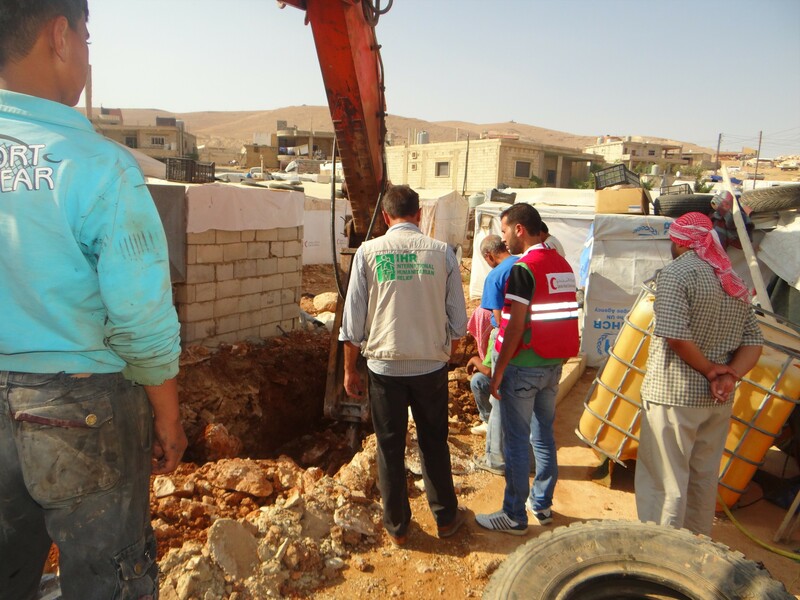 An apartment complex was established by the International Humanitarian Relief – IHR for the Syrian Refugees in Aarsal which was considered as an attempt to improve the living condition for the Syrian refugees by providing them with the minimum requirements for having a life with proper human dignity. 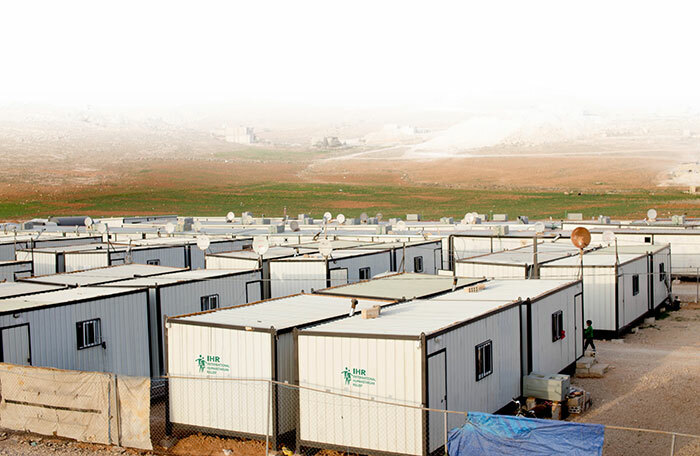 The apartment complex was build on a ground with area 10,000 m2 and provides the refugees with water, electricity and sewage services, since it includes a water well connected to a water tank that works on distributing water ready for drinking and everyday usage daily for all the residences of the complex. Also, the apartment complex includes two big electrical generators with 100 KVA power ability for each and works on supplying the complex with the required electricity support for daily usage and for pumping water up from the well to the water tank so it will be distributed laterly on all the residences of the complex.